Its inventor was awarded the Nobel Prize. Entire clinics wish by using this technology to rejuvenate humans and make a lot of money. Nevertheless the cultivation of any body tissue from standard natural tissue stem cells does not always seem to function as it should. A Japanese publication gives the impression that we are no longer far away from inducing cardiac healing after infarction. It wasn’t mice, but rather monkeys – macaques – which served as the model for the repair of heart muscle by using induced stem cells (IPSC). If one has human applications in mind however, there’s hardly enough time in an emergency case to develop heart muscle culture from the patient’s own body’s stem cells while having enough material. The animal model takes this matter into consideration, in that the skin fibroblasts came not from the same individual primate but from a related one with only partial overlap in histocompatibility. 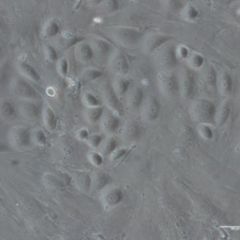 The heterozygous recipients received the iPSC-derived cardiomyocytes from a homozygous donor. After a heart attack the donor cells integrated into the heart muscle and not only beat in synchronisation with the adjacent cells, but also helped to improve the contraction of the damaged heart. Using no more than mild immunosuppression, the scientists were still not able to detect any rejection after three months. Solution to the problem in (almost) all cases? Can cardiac clinics look forward to speedy new repair methods? Perhaps already in the next few years? Only a few years ago there was hype over stem cells that has still not yet been arrested, despite stricter regulation. In Germany as well “stem cell clinics” were to some extent promising the moon to their patients, who then completely banked on and threw their hopes on the wonderful capacities of the “fountain of youth cells”. There were some fatalities, yet hardly any reports of real success. Ten years have now passed since the group led by Shinya Yamanaka discovered a method to convert differentiated and specialised cells back to an original form. Using a handful of growth factors, the “induced pluripotent stem cell” was born, from which almost any type of tissue was then able to be cultivated. 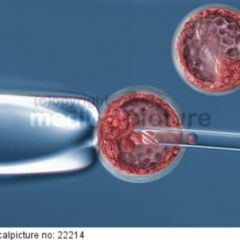 iPSCs seemed to have been able to circumvent the eternal ethical discussions surrounding the use of embryonic stem cells obtained from abortions – and in addition deal with the problem of rejection, since in the end the replacement tissue is autologous. It took over six more years before the scientists reflected tangibly on the first clinical studies involving these cells. It involved treatment conducted on a woman with age-related macular degeneration in Kobe, Japan. On 12 September 2014, the patient received stem cells which had differentiated into retinal pigment epithelium. Result: no rejection, better eyesight. Thereafter, however, the study organisers stopped further attempts. Ten years after a promising start, the expectations have given way to a reality which throws obstacles onto the path of regenerative medicine researchers’ efforts to make this routine. Research has in recent years seen more and more laboratories engaging in work with these cells and many experts wonder whether the cells in the one laboratory have the same characteristics as those in the laboratories of their colleagues elsewhere. “The greatest challenge”, as cited to Nature by Jeanne Loring from Scripps Research Institute in California, “is that of bringing all of them to the same level of quality control”. There are new publications constantly appearing with results which do not end up being repeated. In the case of the Japanese ophthalmologists’ study, scientists pulled the emergency brake. They discovered two small mutations in the respective stem cells intended for the second and third patients. Although they evaluated the possible tumour risk as being low, they stopped the study at once. 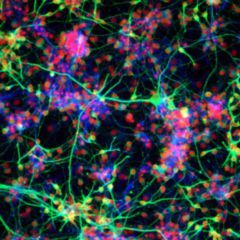 iPSCs seem however, to the disappointment of many initial enthusiasts, to differ from embryonic stem cells more than was imagined. They have to all appearances an “epigenetic memory” in which their origin is stored. Does this play a role in their further differentiation? There has been no answer to this. The reprogramming of skin or other cells runs fairly inefficiently, and it seems that stem cells obtained in this way would all differ in their properties a little – not a good basis for a comparison of experiments from different laboratories or done at different times. Robert Lanza, stem cell researcher at the Astella Institute for Regenerative Medicine in Massachusetts, urges patience and caution: “iPSC are the most complex and dynamic therapies that have ever been proposed for the hospital”. Many physicians are expecting great success for iPSC, and not only for clinical purposes. They are thought to be an important tool in detecting diseases and in the development of drugs in medical research as well. By as early as 2012 scientists in a screening of 7,000 substances found a potential active agent against the rare but fatal genetic disease “familial dysautonomia”. 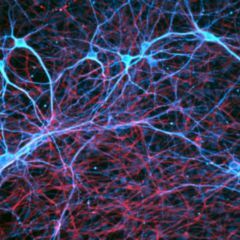 The model cells were neural crest cells acquired from iPSC. A similar success was reported by researchers at Pfizer working on the pain sensitivity disorder hereditary erythromelalgia, where the active agent discovered not only relieves the abnormally high irritability of nerve cells from iPSC, but also the sensation of pain in the patient. Together with the gene editing tool CRISPR-Cas9, scientists are hoping for many more disease models. This includes the production of “organoids” (small organs in a culture bottle) with the help of stem cells. Using mini-brains, for example, evidence was successfully found showing that Zika virus infects neural stem cells rather than completely developed neurons. The logical consequence to this blocking of cellular neuron developmental reinforcement is microcephaly. Transmission electron micrographs of Zika viruses are shown on a membrane of neurogenic tissue derived from iPSC. Unreal dream world of the public relations department? The history of iPSC also lists some other successes, thus far however these have been mostly in the laboratory rather than in the hospital. There are so many that the International Society for Stem Cell Research (ISSCR) saw reason to issue guidelines on reporting of their research. It calls upon its members to refrain from all too optimistic statements about their research in striving for what are limited research funds – and to especially adhere when another laboratory has not yet verified the respective findings. If the practical application of stem cells research in particular becomes less the subject of ethical questions, and only one of “when” it will make its way to the clinic, we would end up on a dangerous course. Contact with the media should therefore not be entrusted solely to the PR departments of the institute, but should remain under the control of the researchers, and should not make mention of a wonderland of stem cell technology to come. Nevertheless, the expert panel admits, a natural optimism is of course a necessary driver for further efforts in the laboratory. Does it work better without stem cell intermediates? With the promising experimentation involving allogeneic transplantation of cardiomyocytes derived from stem cells as well, the immigrating new cells have indeed functioned, but arrhythmias have occurred more often than normal occurs in monkeys. Precisely because of these still unpredictable problems, and the possible tumour risk which comes with the transfer of differentiated stem cells by way of individual remnant ‘division-happy’ stem cells, more and more researchers are interested in the direct conversion of one cell form to another without going through a stem cell detour. In April this year a research group from California’s Gladstone Institute published a very similar experiment to the Chinese group – only in a mouse system. Here fibroblasts were derived directly from cardiomyocytes – without the production of iPSC. Similarly positive results have also come from other groups. Harvard researchers for instance derived pancreatic insulin-producing Beta cells from liver cells. Ten years after the first induced pluripotent stem cell, the technology has been heading further and further towards use in the clinic. The study of patients with macular degeneration is to be resumed soon, further studies on Parkinson’s patients are about to start. Whether the use of induced stem cells, with preliminary cost estimates being in six-digit figures per patient, ever has a chance of being routine use is still not clear at all. However it may be that the stem cell banks serve to supply the necessary material. The direct redifferentiation of somatic cells in the body is a procedure still in its early preclinical stage. Common to both techniques is the fact that after many years of work, it is still not yet clear what actually happens to the cells during their metamorphosis. With an average time period from the discovery of a therapeutic principle to its regular use on patients running twenty years, there still remains quite a bit of time for researchers and doctors to find this out.